On Monday 14 May 2018 a top weight of 32 kgs 530 gms was caught on the Cornagrade section by Andrew Hampson from Chapel Allerton, which earned him the top daily prize of £500. 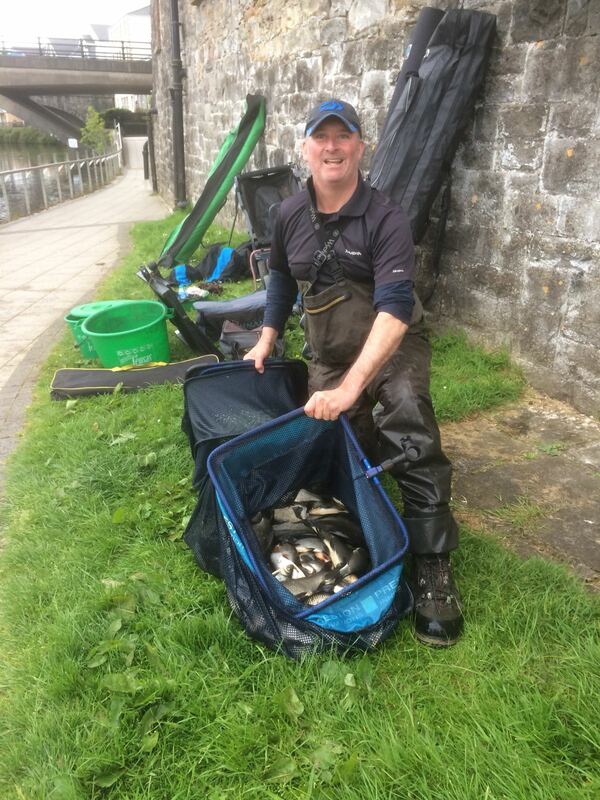 Second was another Classic regular, Tony Hopkins from Gowna with 28 kg 120 gms, caught from peg 1 right in front of Enniskillen Castle at the Broadmeadow section. In third spot was Stuart Harford from Worcester, who landed 25kgs 750gms from peg 14 at Rossahilly, with double Classic winner John Potters from Lisbellaw in fourth place with 23kgs 850gms, also on the Rossahilly section. The action continued on Tuesday with the first day of the King of the Erne competition and a Classic fishing day on Wednesday. The weather is predicted to heat up as the week progresses, adding to the unpredictability of the event. All of the anglers will line up again on Wednesday morning, hoping to reel in the top prize of £5,000 and the Crystal Chalice, or some of the many other cash prizes and trophies on offer. The Classic is sponsored by Waterways Ireland and is organised by Fermanagh and Omagh District Council, in conjunction with the Inland Fisheries Division of the Department of Agriculture Environment and Rural Affairs. For further information please contact Katrina McGirr, Waterways Ireland, on 00353 71 96 50560 or Eddie McGovern, Fermanagh and Omagh District Council, on 028 6632 3110.